Hey guys! I’m super excited for ALLLLLLL of the 2018 releases, so I thought it would be fun to share MY personal top ten! I’m going to list them by their release dates. I’m sure there will be more to add to this list later, but these are the ones that I’m most excited about at this time, and I’d really like to get to them all this year. Here goes! I absolutely ADORED the first two books in the Every Heart a Doorway series and I can’t wait to read the third. Unfortunately, I think it’s also the last in the series? Which is totally sad, because I feel like it’s one of those things that could go on forever. And I would read them forever. Plus, they’re so short and quick which is just FABULOUS. 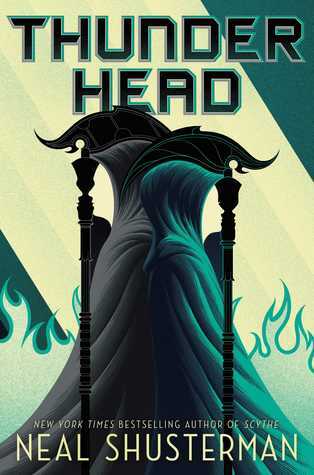 I actually just preordered this today (and ordered the first two in hardback from Book Outlet- eek)! I finally got around to reading Scythe about a month ago and it was super intriguing! I’m super interested to see where he takes the story. The ending of the last one was a bit open-ended, so I really hope he takes it in a new direction. Can we just talk about how gorgeous this book is? I’m going to be honest, I know that it’s a fantasy and that it’s beautiful, and that’s… Basically it. I’M EXCITED. This series is SO amazing. If you haven’t picked it up yet, I don’t know what you’re doing with your life. Don’t be too intimidated by the size of these books; you’ll quickly adapt to the writing style and then it reads SO quickly. I’m very excited to see how they wrap up these series and just… AGH. I adore it. So much. Ally Carter is one of my absolute favorite authors. I just ADORE her books. I’ve read virtually all of her books except for her latest trilogy. This is a standalone, which I think is awesome, and I’m really hoping she does a lot with it! Morgan Matson is definitely another one of my favorite authors. I’ve read all of her books to date (under that name), so there’s no way I’m not picking up this book. I’m not sure how I feel about this cover, but I mean… the dog’s cute? 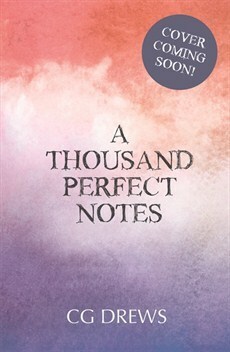 This is Cait’s debut novel, and if you don’t know who Cait is… *shakes head* She’s totally amazing. The premise of this book sounds absolutely incredible, I love Cait, and I’m super excited to support her book. I really hope I love it! I’m hoping to preorder this soon. I ADORED My Lady Jane (technically the prequel to this book). I don’t know what it is, but these authors just clearly had so much fun writing it, and it shone through very clearly in their writing. It’s hilarious and I can’t wait to read more from them! I know that this is kind of based on Jane Eyre, which I… haven’t read? I’m not sure if I should/want to. Let me know whether I should pick it up before this one. This is the sequel to The Gentleman’s Guide to Vice and Virtue, which, with any luck, will be even better. Because pirates. And it’s about my favorite character. YES. This is about… Snow White? And a Swan Lake retelling thing? And someone gets turned into a swan? I don’t even know. It sounds fabulous. I need it. NOWWWWW. Aaaaand that’s my list, at least for now! Definitely let me know if any of these are on your TBR, or, if you’ve been so lucky to get ARCs of any, what you thought of them! What are your most anticipated releases for this year? ‹ Previous2017 Reading Challenges Wrap-Up | Okay, I totally failed. Eek; I’m so excited for all of those! Omg that’s fantastic; thanks so much for telling me! Somehow I had been under the impression that this was it. Where did you hear that from? I know right?? I definitely need to order that. OMG GEMINA IS FABULOUS YOU MUST PICK IT UP. YOU KNOW WHAT NEVERMIND! I was following you… can you delete that embarrassing comment?! I thought I was but my messed up app is so confusing to me! Why do I have to be logged in to see who I follow?! I’m in my personal app!! So yeah I’m a spaz! CONGRATS!!!! Love the list of 2018 releases my list just got longer now. I picked up an ARC of the Ally Carter book at Y’all fest it looks interesting! I’m pretty pumped to read it once I get through some other books this month. OMG – so many of my can’t wait for books! I can’t wait for Cait’s debut novel and The Ladies Guide to Petticoats and Piracy. And I can’t wait to read My Lady Jane & the upcoming sequel! Also, your blog looks GREAT! & congrats on reaching so many followers! Yay!! They both just look so amazing. Amazing post, Amy! Thanks so much for doing a releases timeline because I get so lost around that topic xD I usually miss most dates and can never keep up with any new releases until it’s too late. I think I need to come up with a calendar or something? Thanks so much!! Haha, I figured I would just pick a few books for the fun of it. If the sequel to Strange the Dreamer is coming out this year, it definitely deserves to be on this list too! 😉 I’m terrible at actually keeping up with new releases; I usually don’t pick them up until AT LEAST a couple of months after the release date? Oops? Haha I think it’s coming out this fall! Thanks. 🙂 Your blog looks gorgeous as always! Oh gosh so many great books! I am EXTREMELY excited for Blanca and Roja; Anna-Marie McLemore is one of my favourite authors ever. I’m also super excited for The Lady’s Guide, as well as Alice Oseman’s 3rd book, Let’s Talk About Love, and What If It’s Us? AGH ALL THE GREAT BOOKS IN 2018. Haha absolutely! Me too; I haven’t even read any of her other books but I have SUCH high expectations. Who knows why. YESSSS, Felicity is my ABSOLUTE fave. I looooove her. I haven’t actually read any of Alice Oseman’s books? Oops? I’ve been meaning to read Radio Silence for AAAAges. I definitely need to pick it up soon! Aah yess Felicity! She’s amazing! I still haven’t picked it up; I really want to though so I’ll make sure to do that soon! Congratulations on 900 followers!! You’ve chosen some great books. Quite a few are on my most-anticipated list too. CONGRATS ON REACHING 900 FOLLOWERS BB!! <333 also, I still haven’t read Scythe yet, though I’ve been meaning to for forever Dx an ahhh, The Lady’s Guide to Petticoats and Piracy seems like such a delight! I CANNOT WAIT. Congratulations on 900 followers! That’s awesome. That is an incredible list. I see quite a few of my own anticipated books up there. 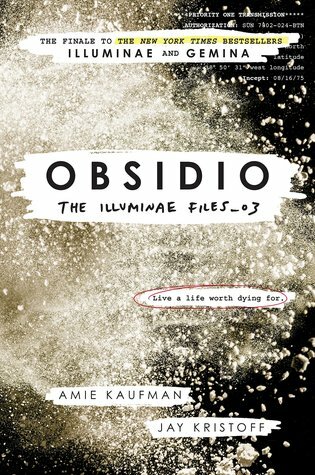 Obsidio is probably at the top of my list, because I love the series, and I read Gemina in 2016. I need a new book now. 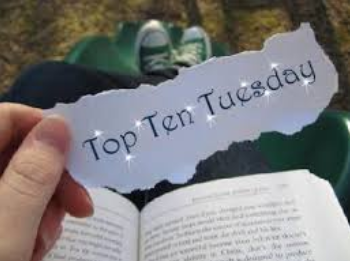 My Plain Jane, Save the Date, and Not If I Save You First are also anticipated reads for me. Hope we get to read them all. Ooh, I’m so glad to hear it! Have you read Obsidio yet?? I absolutely adored it, and it was definitely my favorite in the series! 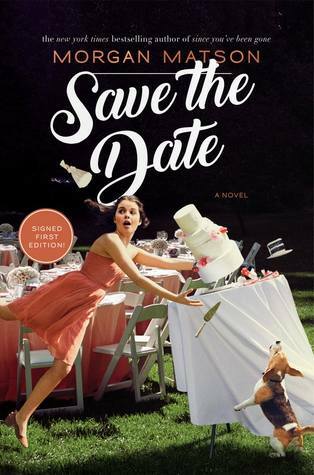 Save the Date is actually one of my new favorite books; I really loved the lack of romance and the central theme of family. 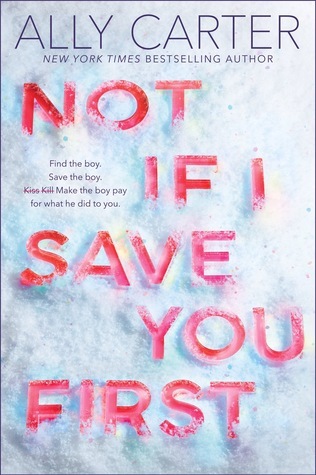 Not if I Save You First… wasn’t as good as I was hoping? I still enjoyed it (because Ally Carter is amazing) but it definitely wasn’t up to par with her last series, which was super disappointing. I’m excited about her next book though. 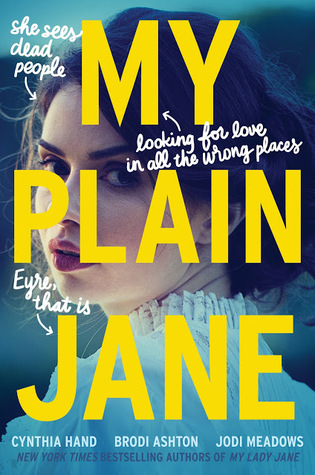 I haven’t read My Plain Jane yet, but unfortunately I’ve heard it’s not quite as good as the first? I hope that that’s not true! Absolutely! Haha, me too, that’s definitely relatable! I am SO excited for Blanca & Roja! Anna-Marie McLemore is the absolute best at magical realism. I love her writing! Yessss, I’m so glad to hear it! I’ve honestly never read a book by her, but they’re just… all on my TBR? Oops? They all sound amazing and I love magical realism/lyrical writing styles, so WHAT AM I WAITING FOR. No one even knows. Her writing style is phenomenal! I was lucky enough to get an ARC of Blanca and Roja and I loved it! You should totally read her books! I’m so glad to hear it; can’t wait to pick it up! OMG THANK YOU SO MUCH. DEAR LORD I HOPE SO. Ahhhh I 100% relate of course! I haven’t read either yet, have you? I actually have a copy of ATPN but I haven’t had the chance to pick it up yet! I’ve heard nothing but good things, though. Haha well this one’s great too! I know, I’m so not ready for it to destroy me, haha! I think it’s going to be amazing though, I’m excited. 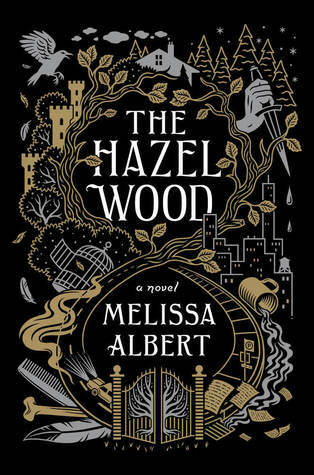 I have heard so many good things about THE HAZEL WOOD from all my favorite bloggers. I can’t wait to get my hands over it. Have you read The Hazel Wood yet?? I enjoyed it because it was interesting, but it honestly wasn’t my favorite! It just didn’t really meet my expectations, and I wanted more of the actual fantasy world. Ahhh, that’s awesome! Glad to meet you too! Also, I’m so excited for The Hazel Wood and Save The Date. I hope you love them! Thank you so much! The Hazel Wood was just okay in my opinion, but I just finished Save the Date last week and it was INCREDIBLE. I loved the family dynamic and the lack of romance actually really improved the story for me. Have you picked them up yet? YESSSSS OBSIDIO WAS INCREDIBLE AND GEMINA WAS AMAZING. HAVE YOU READ THEM YET BECAUSE IF NOT YOU NEED TO GET ON THAT. Do you have a blog? Your link says it is “not available”? Thank you so much!! It’s insane and amazing to me. Ooo, good luck with the ban! I hope it’s going well! I’ve actually read the first 7, and I’m not sure the last two are actually being released this year now. 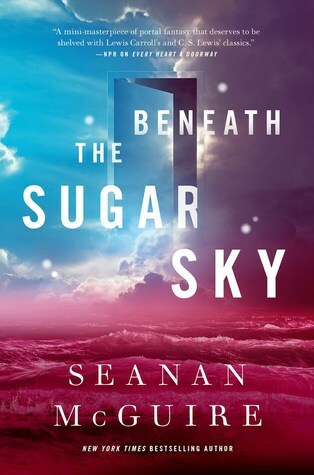 My favorites are Beneath the Sugar Sky, Thunderhead, Obsidio, and Save the Date! They’re some of my new favorite books. The other three were all 3.5-4 stars, so not bad, but not up to my expectations.